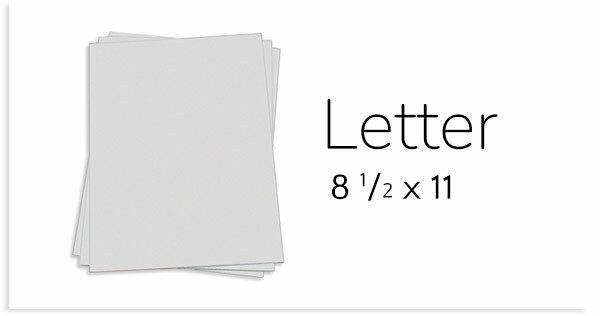 The standard size you know and love, shop hundreds of colors, finishes, and weights of 8 1/2 x 11 letter sized paper and card stock - sized perfectly for print! 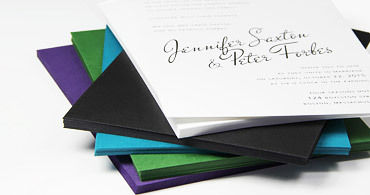 Browse a huge selection of legal sized 8 1/2 x 14 papers and card stocks in every color of the rainbow. 8 1/2 x 14 is a size compatible with most printers and is ideal for printing multiple cards to a sheet. 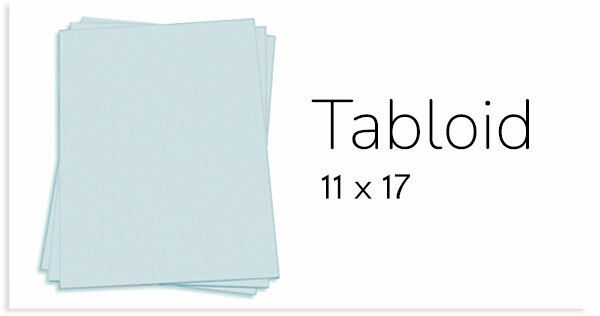 11 x 17 tabloid sized paper is a large, popular sheet sized perfectly for digital and commercial print methods as well as craft projects of all sorts. Find several dozen colorful sheets here! 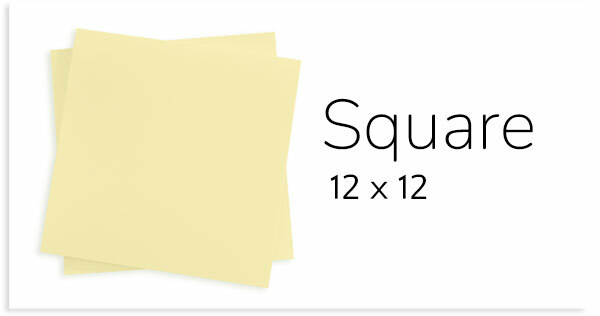 12 x 12 card stock is perfect for making square cards, scrapbooks, and paper crafts of all sorts. Here we have dozens of 12 x 12 papers for your creative project. 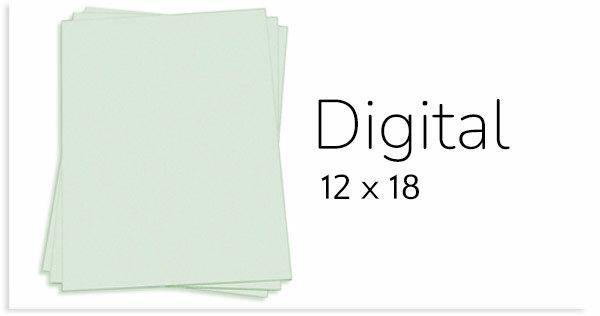 The most common digital paper size, shop 12x18 card stock in a variety of popular brands and neutral colors. Paper is offered in convenient 25 packs for digital printing and copy needs large and small. For the paper professional, order full size parent sheets of our premium specialty papers for your next large scale project. Paper is offered in 100 sheet reams and is in stock, ready to ship. Our 5x7 cardstock, made for invitations and printing are pre-cut to size. Available as flat & foldover cards in a variety of weights, colors and textures. Matching 5x7 envelopes are available online for purchase. Both 5x7 cards and envelopes can be ordered blank or custom printed by the professionals at LCI Paper. 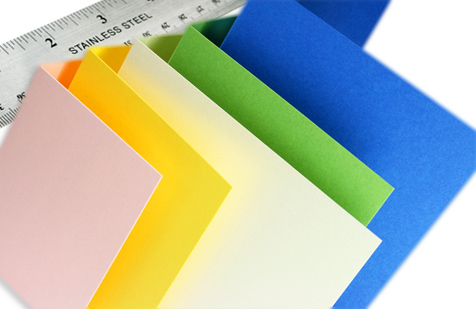 For convenience, LCI offers our card stock papers in standard & common sizes. From small to large and every dimension in between, we have a paper size to fit your creative project. But what are these standard sizes, and where do they come from, you ask? 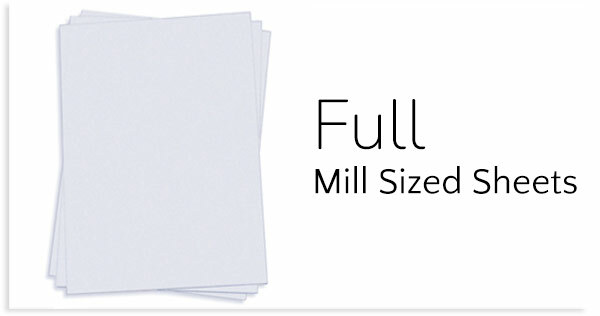 The paper mills supply paper in very large sheets - parent sheets - that measure roughly 23 x 35 or 26 x 40 inches, the exact size varying with each paper. With the exception of commercial printers, not many people have the equipment to handle such large sheets, so we cut them down to more usable sizes. The result is a collection of perfectly cut, perfectly sized card stock for your creative project. Learn more about these sizes below. It's the size in your printers, your photocopiers, your fax machines - you know it when you see it. It's the most commonly used paper size for office and personal use. It's easy to handle & convenient to cut. You're comfortable with it. You've been using it since preschool. It's really easy to make 5 1/2 x 8 1/2 (A9) cards with - just cut it or fold it in half, and your work is done! Add an extra three inches to that 8 1/2 x 11 sheet, and you have 8 1/2 x 14, or legal sized card stock. Your printer won't default to it, but it'll certainly recognize it as a standard size. Easy. Double the standard 8 1/2 x 11 and you get 11 x 17 tabloid sized card stock - a large, but useful size for all kinds of commercial & digital printing to crafting projects. Creating a design that bleeds? No sweat! Print on 11 x 17, then cut! That's right scrapbookers, this one's for you. This size is very often seen in scrapbook pages, but it has some other great uses too. 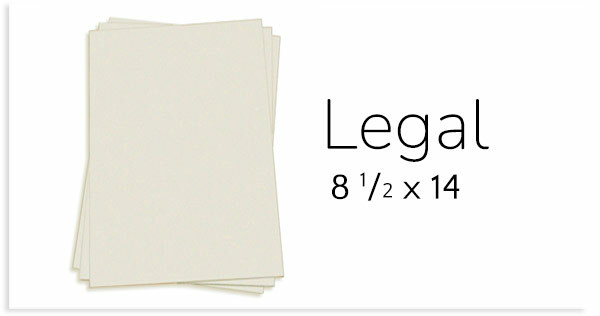 Listed above are the most common paper sizes stocked at LCI. Not all papers and colors are stocked in these convenient paper sizes, but most are. And because we have these sizes stocked at our location, we are able to provide lightening fast deliveries on most of our papers. Don't See Quite What You're Looking For? Don't Fret - We Offer Custom Cutting Too! If you can't find that specific size you're after, we offer custom paper cutting too! Get the right sized paper delivered to your doorstep quickly - no muss, no fuss. 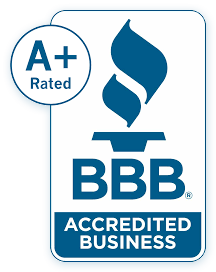 Give us a call to find out more.